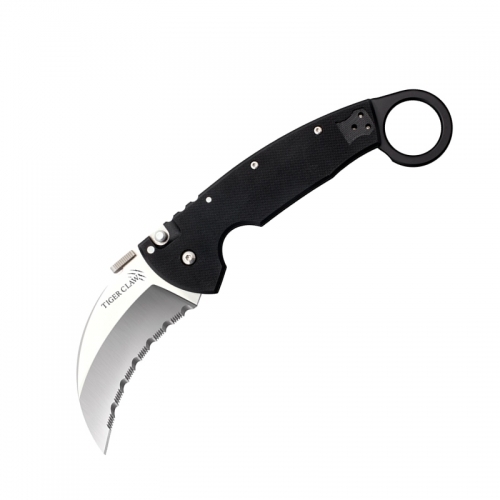 Intruder; a fast, long and lean fighting knife. 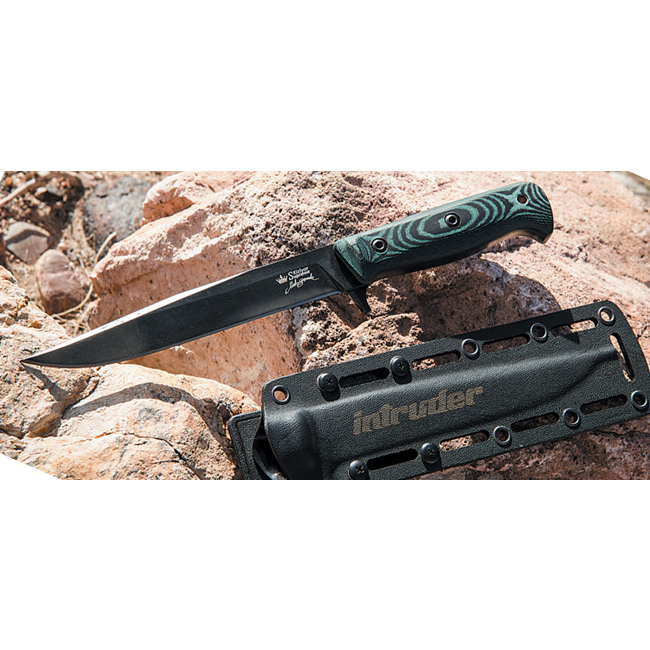 This model Intruder features a black titanium coated blade and multi-layer green/black grip. The name of the knife says a lot about it. 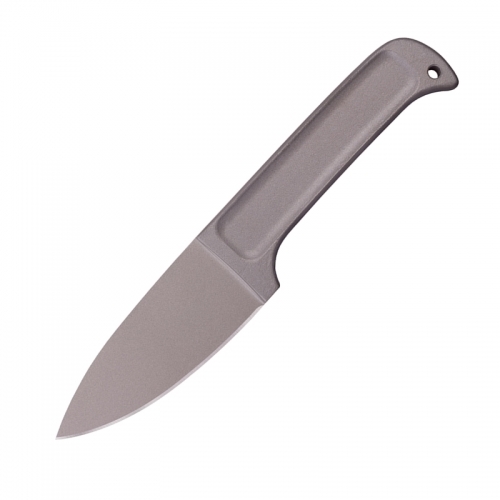 Kizlyar Supreme has managed to combine aggressiveness, grace and great work properties into this knife. The handle fits the hand well, giving a good grip with the palm. The lower guard does not allow fingers to slip onto the cutting edge even during serious work loads. 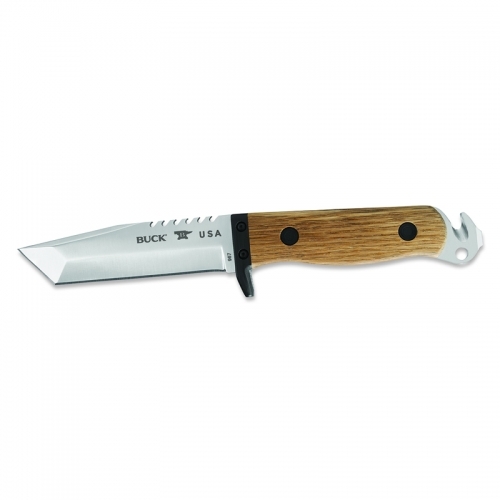 The flat ground and well-balanced 440C stainless steel blade make this knife reliable in the field with a low maintenance requirement. Light and durable MOLLE compatible Kydex sheath features a highly versatile multi-position platform with a rotatable clip, allowing a variety of carry options; horizontal, vertical and several angled positions are possible. In developing the Intruder a significant role was played by members of the leading Russian knife forum rusknife.com. Especially A. A. Mak; a respected defense industry professional, collector and researcher of short-bladed weapons, author of a number of books on military knives and blade weapons. And also D. E. Samsonenko, Lt. Col. of the Russian Internal Police in retirement and knife expert. Made by Kizlyar Supreme. 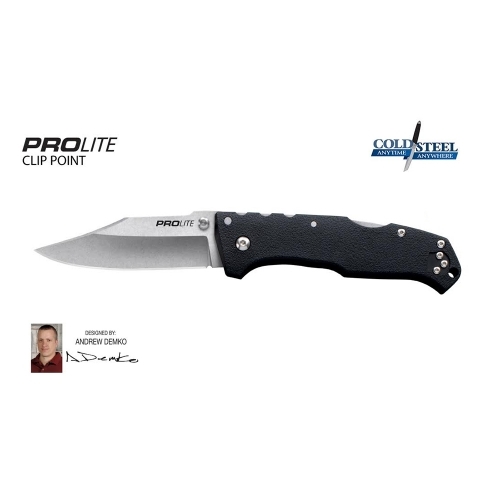 Key Features: 440C Stainless Steel Multi-Position Carry Sheath SP Platform Clip Overall: 10 1/2″ Blade Length: 6 1/4″ Thickness at Guard: 4.5mm Blade Steel: 440C Specs will vary slightly from piece to piece.